Shilpi Kumar, founder and CEO of Khoj Lab in Chicago will share how an integrated approach can lead to implementation success. She will show how the idea of flow can reduce bottlenecks and will lead the audience in a discussion about the shifting role of design/ers in an innovation-led enterprise. Shilpi Kumar has over 15 years of professional experience as an Architect, Industrial Designer, Design Strategist, User Experience Researcher, and Design Educator. 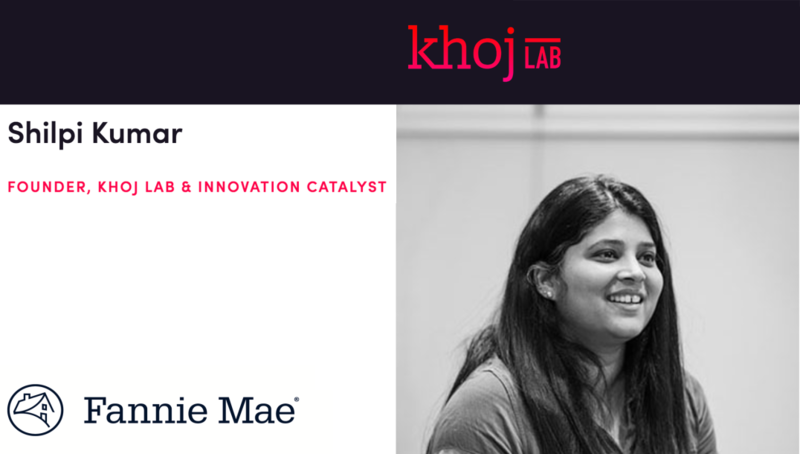 She is the founder of Khoj Lab, an Innovation consultancy, where the mission is to help business leaders of organizations discover new opportunities for growth and optimize the process to implement innovation strategies. Over the last year at Khoj Lab, she has built a team of multi-cultural, multi-lingual women who together speak six languages- English, Hindi, Cantonese, Mandarin, French, and Spanish.